Love these two together. Curl poppage was mad real. Welcome to part 2! Let's keep this Jane Carter Solution Healthy Hair party going! PPG-3 Benzyl Ether Myristate: Emollient, conditioning, and shine-enhancing ingredient that replaces silicones in hair and skin products. Maracuja Oil: Oil native to Rwanda that is rich in Vitamin C, calcium, and phosphorus. 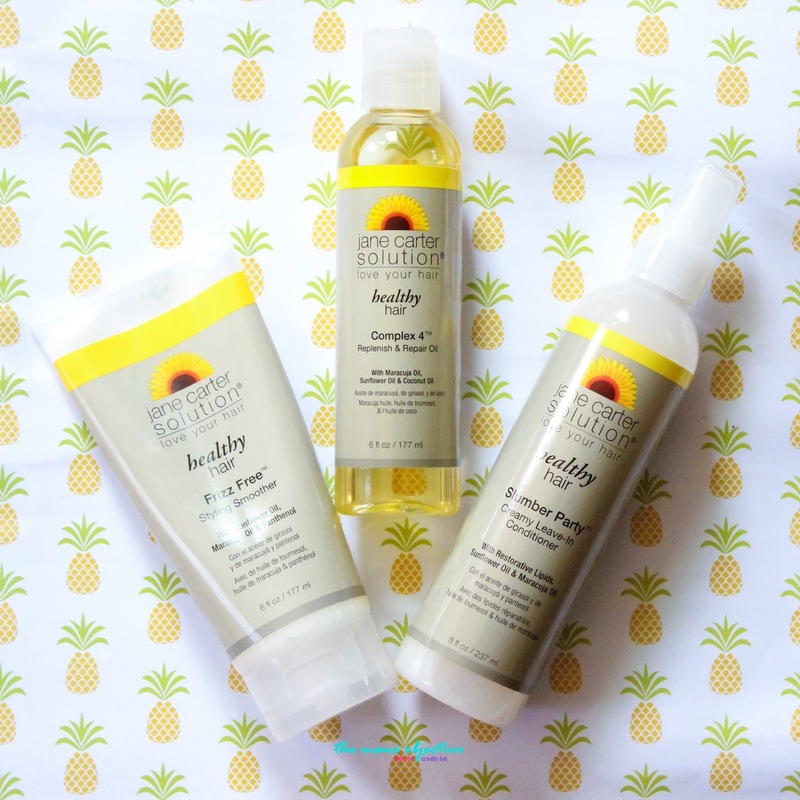 Known for balancing moisture and conditioning the skin and hair. Yall, Slumber Party is legit. It comes in a spray bottle, but I almost feel like it belongs in a regular screw lid bottle. It's creamy, velvety, and goes right into the hair. Jane Carter Solution really knocked it out the park with this one. Y'all know how I feel about leave-ins - they're vital to the outcome of the wash and go. Bad leave-in = bad hair day. Great leave in = great hair day. Truth be told, Slumber Party is everything I wanted Mielle's White Peony Leave-In to be. Rich, creamy, and truly provides that moisturizing canvas. Total winner in my book. I'm not a fan of anything in a spritz bottle that I have to use on wash day. Chances are, my hands are already wet, and covered in product residue - making it insanely difficult to grip and spray. I'd much rather this come with the standard press open or flip cap. Other than that, we're golden. Amazing leave-in. Leaves hairs smooth and shiny without feeling greasy or weighing it down. What, you think I'm not?! Phospholipids: Naturally occuring complex lipids which contain fatty acids. Used to condition and soften the hair. Linda. Listen, Linda. 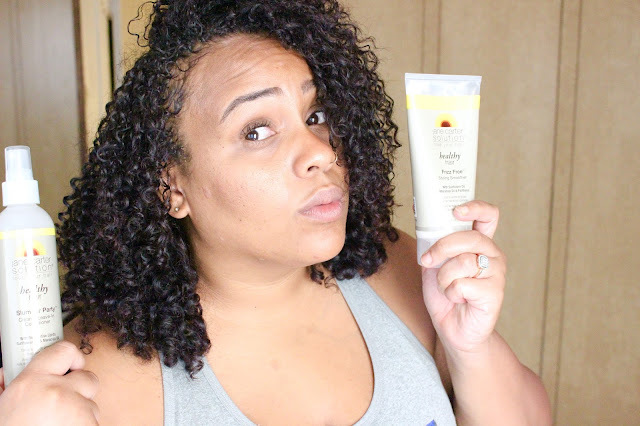 I said it in the video and I'll say it again - Frizz Free Styling Smoother is the product I didn't know I needed, but now I never wanna live without. Is it a leave-in, a cream, a curl definer? I don't know. But what I do know, is that it's majestic. It's beautiful. It gave my curls a new lease on life. Okay, maybe I'm being a bit dramatic, but Frizz Free Styling Smoother gets major love from me. For the curlies with baby smoove curls (not me), you can probably get away using this alone as your curl definer. However - I appreciate Jane Carter for not trying to play folks with more textured curls, and passing this off as a styler. It's clearly labeled as a leave-in, frizz controller, and curl prepper. The directions even say to apply it to wet curly/coily hair as a base hydrator and frizz reducer, before applying styling product. Team Jane, thank you for your honesty. Zip. Zilch. Nada. Okay. One tiny thing. Soybean oil. Not a huge fan - I share why a little later on. 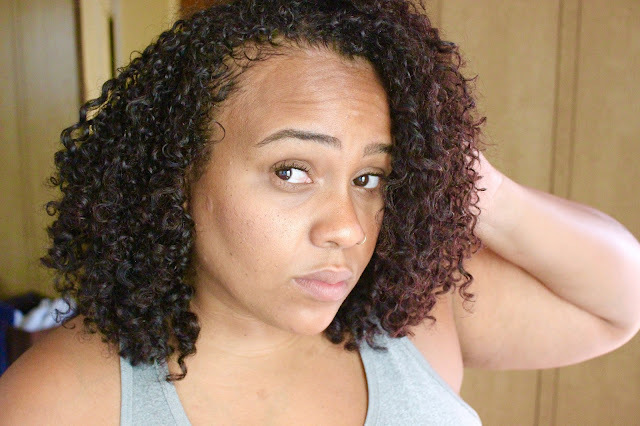 I've come to the conclusion that Frizz Free Styling Smoother is a curl primer that assists in reducing frizz and imparting major shine to the hair (see photo below). Beyond that, it doesn't take a whole gob of product to work its magic (what you saw in the video is how much I applied to my whole head), and it doesn't interfere with one of the most notoriously difficult gels to work with - Eco Styler. Yep. A winner in my book. Don't play yourself. Of course I am. And look for this baby in the Christina's Choice 2016 roundup, too. I mean, look at these curls! Glycolipids: Lipids with carbohydrates attached. Used to soften, condition, and provide anti-aging benefits to the hair. The Complex 4 Oil is lightweight, smells amazing, and imparts impeccable shine. I used it both as a pre-poo and sealant, and it served me quite well both ways. My hair didn't feel greasy or weighed down in the slightest. Full transparency here - my gripe with Complex 4 is the same challenge I had with Miche's POLISHED - soybean oil. Absolutely, soybean oil has value in hair products. There's a reason it is continuously used in oil blends. But, it's just not my cup of tea. A dealbreaker, no. But just a personal idiosyncracy. An all around versatile oil. Perfect for pre-poos, sealing, hot oil treatments, henna mixes, and more. Lighweight and powerful, without the greasies. Well, that's all for this review, folks! If you missed part 1, click here to check it out! 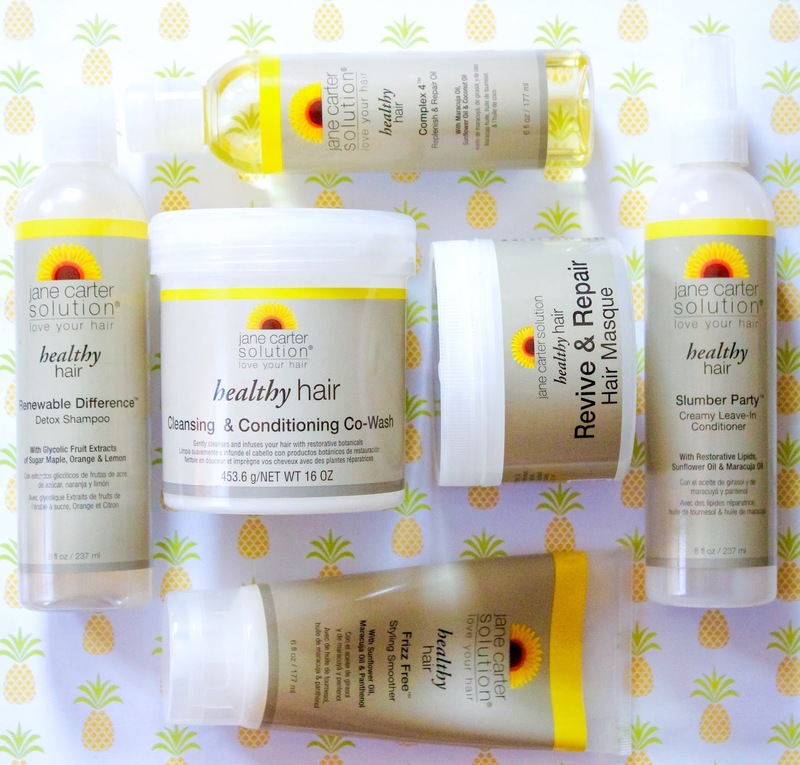 Will you be trying the Healthy Hair Collection from Jane Carter Solution? How did you like this leave in compared to Edens coconut leave In...my go all to...? Oh and the deep conditioner compared to Mielle Organics? I'm searching for the masque. I purchased the others this weekend. I can't wait to try them.